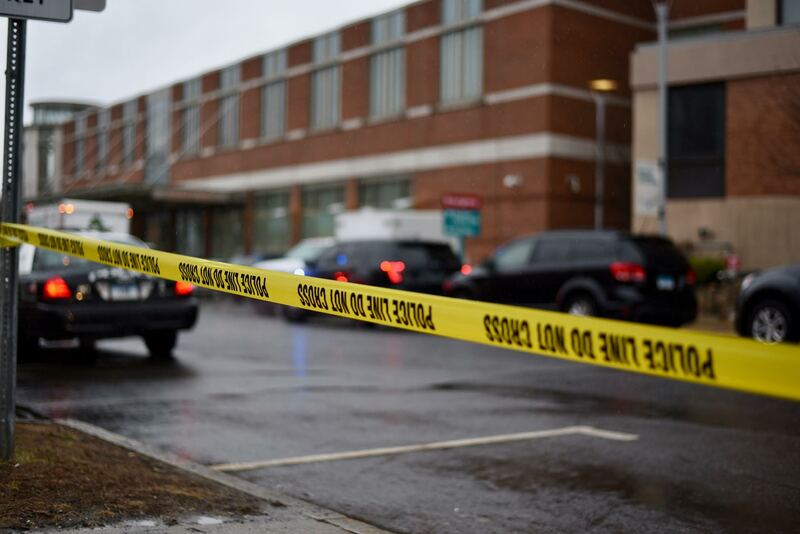 Shortly before 10 a.m. on Thursday, Feb. 22, a man crashed a silver sedan into the emergency room entrance of Middletown’s Middlesex Hospital. Middletown authorities have confirmed that the crash was intentional, but have yet to comment on the suspect’s motives. “I want to be crystal clear: it is early in this investigation and we will not speculate his motives,” Mayor Dan Drew said in a press conference on Thursday afternoon. After crashing through the emergency room sliding doors, the suspect, who has since been identified as 27-year-old Middletown resident Steven Ellam, exited the burning car and was engulfed in flames. According to authorities, Ellam intentionally lit himself on fire at the scene of the accident. FBI officials late Thursday night uncovered a Facebook Live video, which Ellam recorded during the crash. The video begins with Ellam driving toward the hospital and ends shortly after he lit himself on fire. His narration includes references to the Illuminati and the new world order. Ellam was subsequently transported via Life Star helicopter to the Connecticut Burn Center at Bridgeport Hospital. Upon arriving at the scene, the Middletown Fire Department found several gas canisters in the car, the contents of which are currently undergoing testing. As a precaution, a bomb squad was dispatched to the hospital and surrounding area. They ordered nearby residents and pedestrians to take shelter in place, but lifted the mandate shortly after noon. A bomb squad was also dispatched to Ellam’s home at 66 Milardo Ln., which was searched by the squad and two bomb-sniffing dogs. Residents in the area were told to evacuate as a precautionary measure. According to Chief McKenna, Ellam is known to Middletown police and has an extensive criminal record dating back to 2008. His previous convictions include driving under the influence, criminal mischief, and assault. In 2013, a jury found him guilty of attempted strangulation. Vice President of Operations for Middlesex Hospital David Giuffrida has stated that Ellam has no known connections with the hospital. The Middletown Police Department is currently cooperating with other state and federal authorities, including the FBI’s New Haven Division, lead by Special Agent in Charge Patricia Ferrick. Additional police officers were also dispatched to schools in Middletown as a matter of precaution. Middlesex Hospital has invoked temporary crisis measures, as have some other hospitals in the area. Midstate Medical Center in Meriden has set up six temporary barriers outside of its emergency room. A number of barriers stand outside Middlesex Hospital as well, but Ellam was able to maneuver around them. Giuffrida announced that all of Friday’s non-emergency surgeries will be cancelled and a temporary ban will be placed on visitors, which will also apply to volunteers. 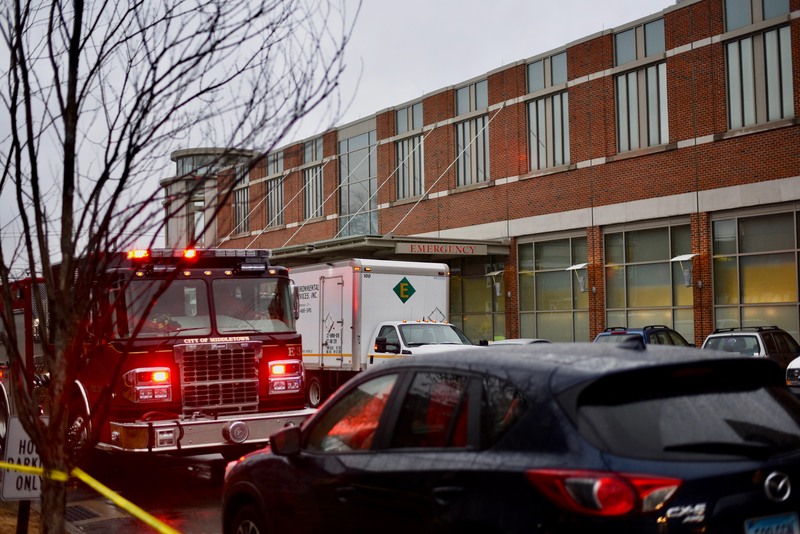 Eli Solomon ’20 was among several hospital volunteers who were ordered to evacuate the premises after the incident. Solomon does not know when he will be allowed to return, as the hospital has not announced how long their safety measures will be in place. This is a developing story, and it will be updated accordingly. Erin Hussey can be reached at ehussey@wesleyan.edu. Mason Mandell can be reached at mjmandell@wesleyan.edu. The audio on the video is pretty graphic. Seems like he changed his mind very quickly after he started to burn.